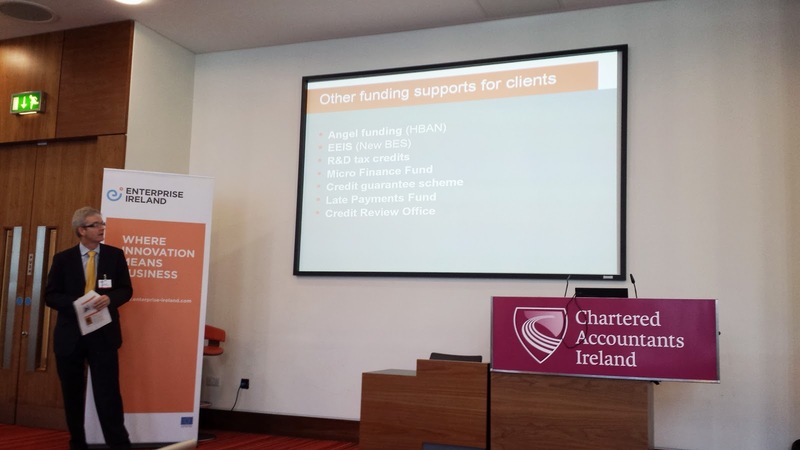 "We have funding and we’re looking for projects…looking to work with more and more clients and work with clients outside our traditional client base." 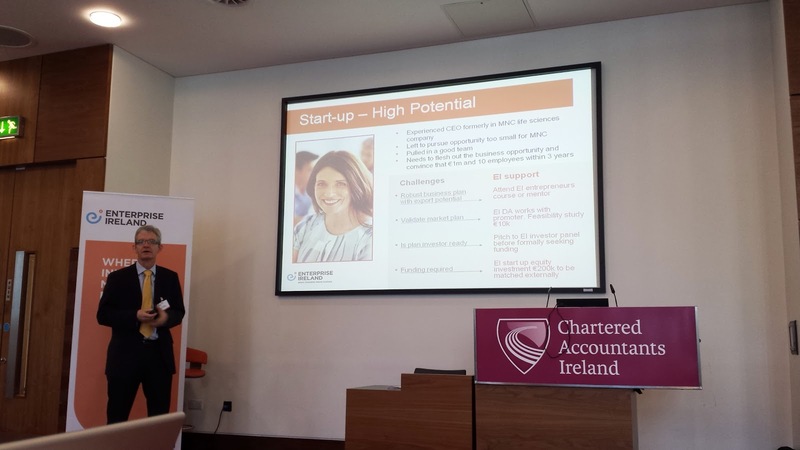 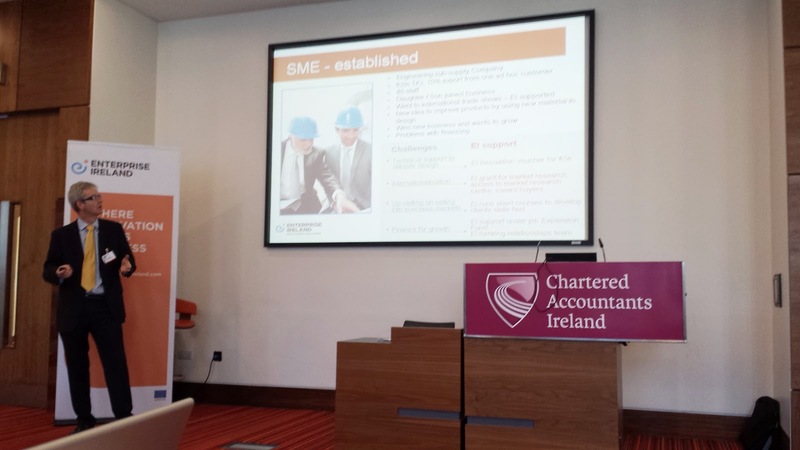 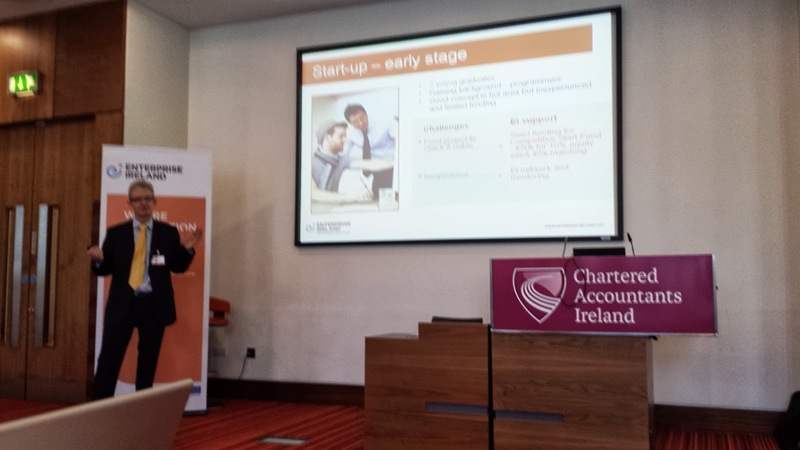 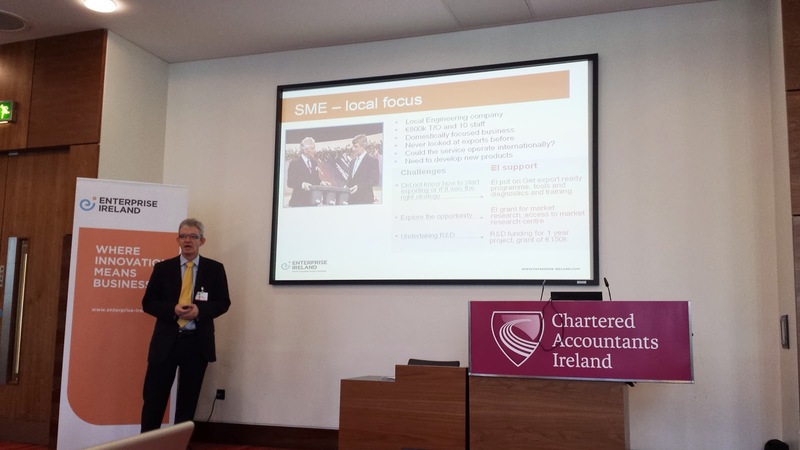 - Joe Healy, Enterprise Ireland, At Chartered accountants Ireland event this morning. 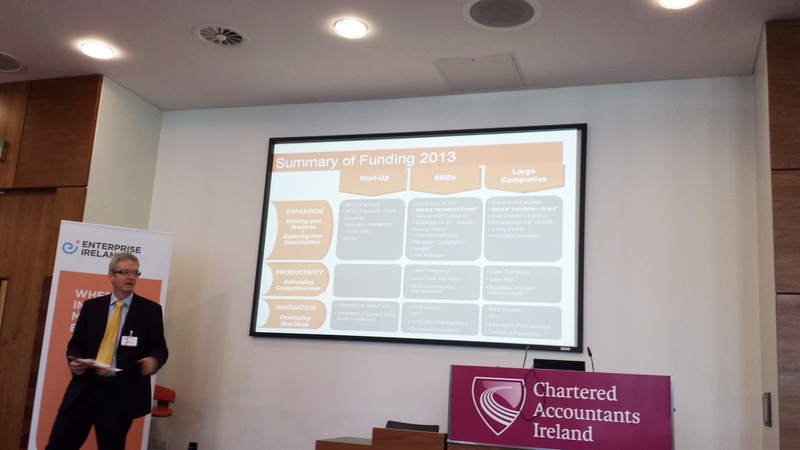 Joe Healy from EI discussing various funding options and simplifying the EI product portfolio. 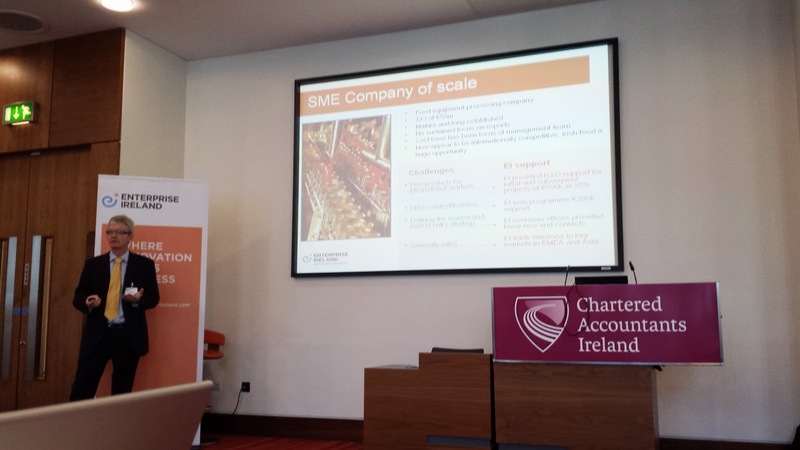 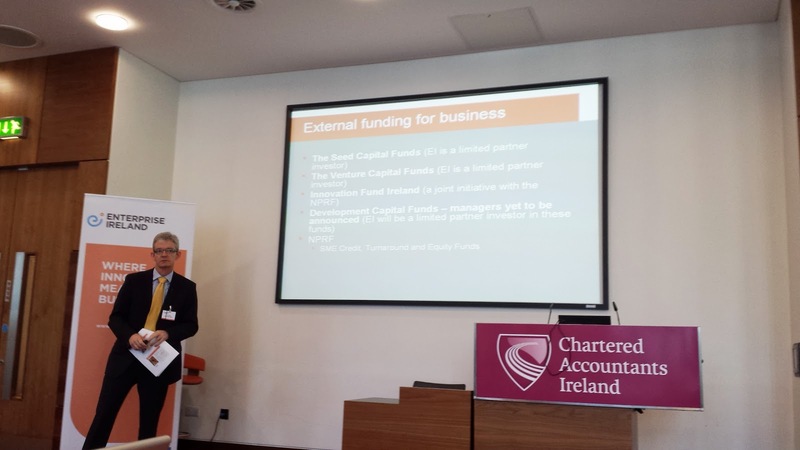 The event was held at Chartered Accountants House on Pearse street in Dublin this morning.